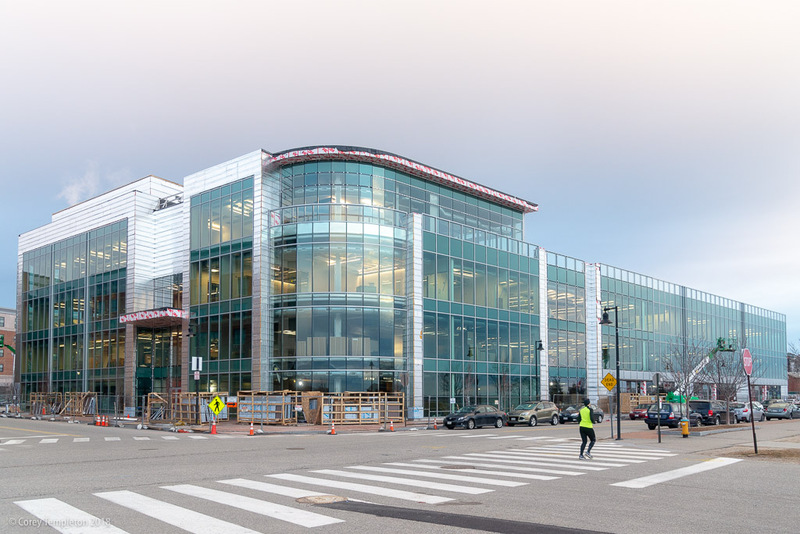 Also, a look at the new Wex building. Nice pics, Corey. 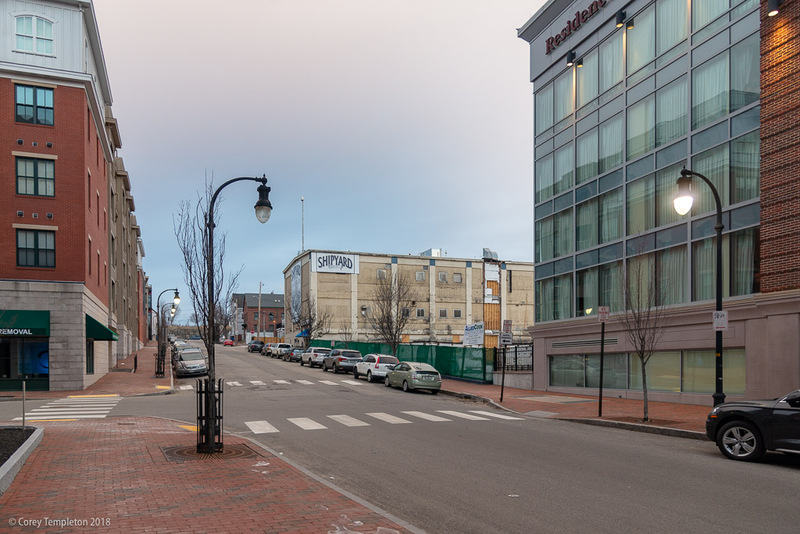 An exciting new area for Portland, completely different, which is nice for a change. I don't think anyone from out of town walking around in this section will think Portland's a Podunk town. The opposite, if anything, especially after the Covetrus building is built (formerly known as Vets First Choice). Big money here, and about time. 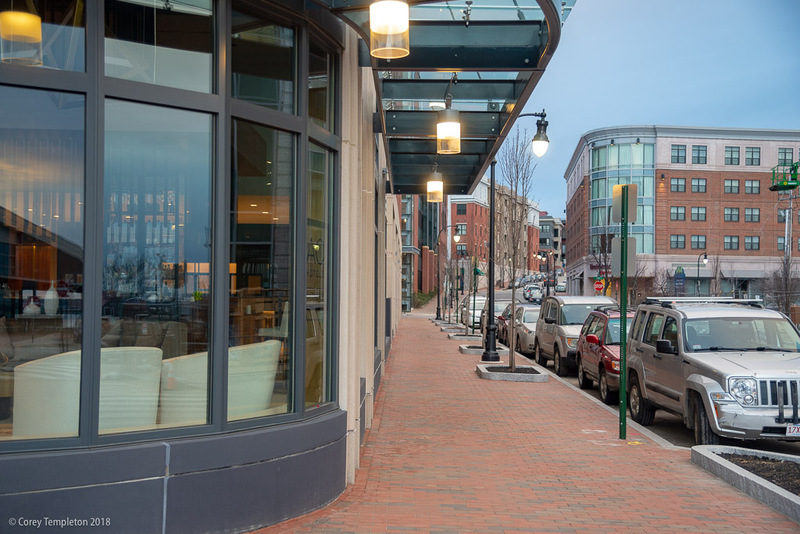 If you have a high tech company, yes, you could locate in the Seaport District in Boston, but here, in Portland, you can walk across the street and drop a kayak in the harbor, then paddle out to some scenic and pristine areas. That's not happening in Boston. A big incentive for people to move and work here, nature not far from the office doorstep. Last edited by TC_zoid; 01-03-2019 at 09:32 AM. I noticed that site prep work has begun in earnest on the Rufus Deering / Hobson Landing site. Also, I was reviewing some of the copious documents submitted by Maine Medical Center to the Planning Board and was surprised to see the schedule of construction for the new Congress Street building. If I'm reading it correctly, demolition of the existing garage is scheduled to begin before the end of this month! The whole project is scheduled to take about 36 months. Wait, what? They're going to start demolishing the existing employee garage before their new garage on St. John Street is finished? For a parking-obsessed employer that's loathe to encourage their employees to use transit, how's that gonna work? Unless they're doing very basic prep work for a couple months before demolition can begin in earnest. 3/4 of the new Parking Garage is scheduled to be completed by December 2019 and open for MMC Employees at that time. The other 1/4 of the Garage is scheduled for completion Spring 2020. 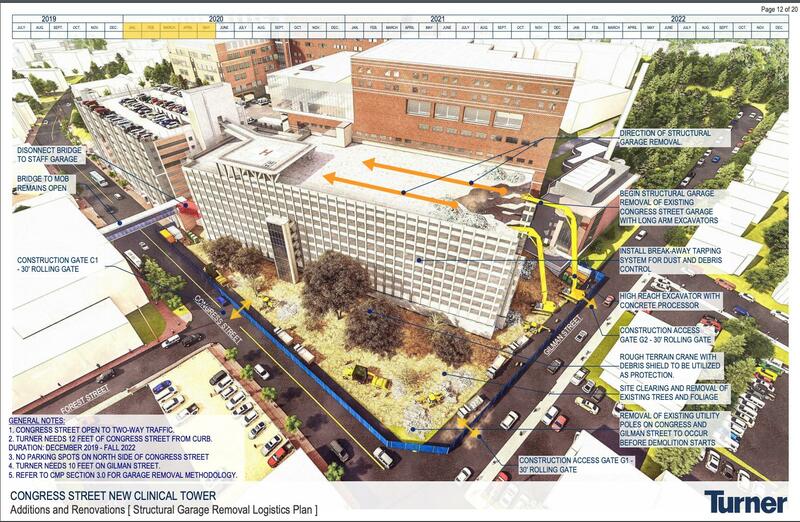 Press Herald article from Sept. 11, 2018 says that when the new parking garage on St. John Street is complete the old parking garage on Congress Street will be demolished so that construction can begin on the new Medical Center Congress Street addition. They do have the 3 new levels in the adjoining garage, and could lease a lot with shuttle service. The sooner they demolish that monstrosity, the sooner they can start the new building. Otherwise, they won't begin until the second half of 2020, or maybe even 2021? It's a big mofu, that garage, and you half to take it down carefully due to its squeezed in nature (though a "controlled" detonation would be fun to watch). That's a lot of cement and rebar, and too bad it can't be used to fill something in, or recycled, somewhere. Or maybe it can with some creativity? 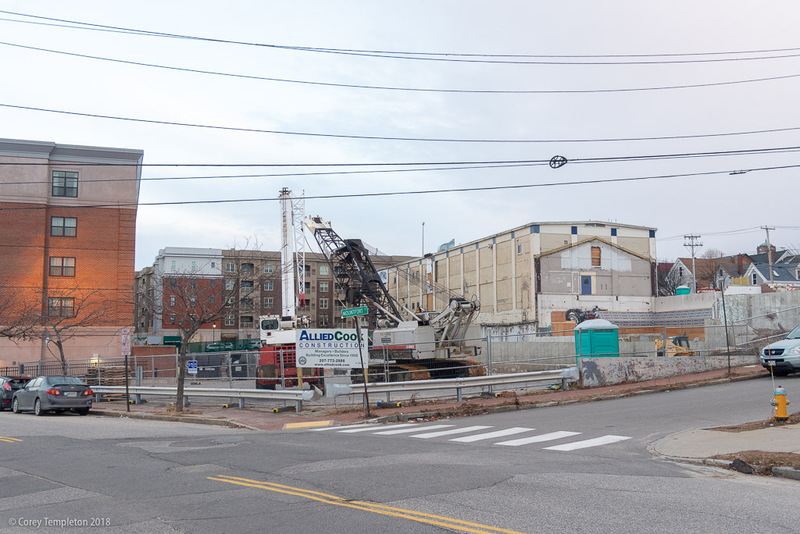 The construction management plan submitted to the planning board last month has the garage demolition scheduled to start in December 2019 and wrapped up by summer 2020, with foundation work on the new building starting that fall, and project completion by the end of 2022. Looks like I did misread it. 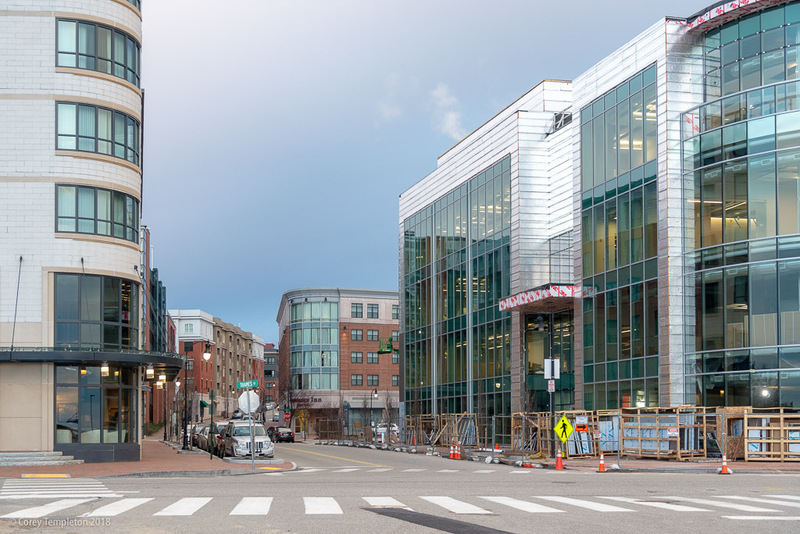 Demolition of the Congress Street garage will actually begin a year from now, January 2020. Watching this behemoth come down will provide some entertainment next January! Looks like they are using giant jackhammers on tractors. It will probably be like watching paint dry. That's how it was with Boston's Government Center garage, anyway, the chunk they took out to build a high-rise (going up now). When I lived in DC I worked in an office building directly adjacent to another that was torn down in this method, with the jackhammers on the top of the crane arms. It was so loud that we were allowed to work from home for a week as they passed our 6th floor location. It was very interesting having a bird's eye view of the demolition and construction of a building though. As a side note many 12-story concrete buildings in downtown DC have been torn down and replaced with 12-story glass buildings over the last few years. The city's height limits and already dense infrastructure has resulted in a pretty uninteresting business district in my opinion. Street after street of buildings all about the same size and now with very similar facades, glass and steel. That's too bad. Have a feeling that any development in that location is going to be opposed and it's not all about anti hotel usage. Last edited by Portlander; 01-12-2019 at 07:25 AM. Thanks, the three different camera views are great. I dubbed this area as the "New Port" many years ago and the projects just keep coming! In View 3 of the Shipyard camera: I live right there, but had never noticed the beer barrel on top of the mast! Anyone know what's going on with the WestElm hotel at Portland Foreside? their website still says "coming in 2020" but if they aim to hit that goal they would already need to be going through the planning process. Haven't seen much activity at the Portland Co. complex at all aside from the marina.